0 Comments Published by Cedric Benetti on Friday, October 9, 2009 at 10/09/2009 01:55:00 PM. 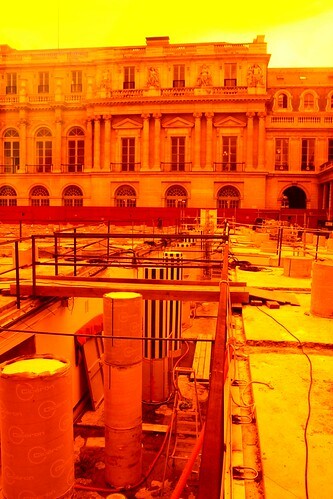 Since mid 2008 the Palais Royal has started an extensive renovation campaign. 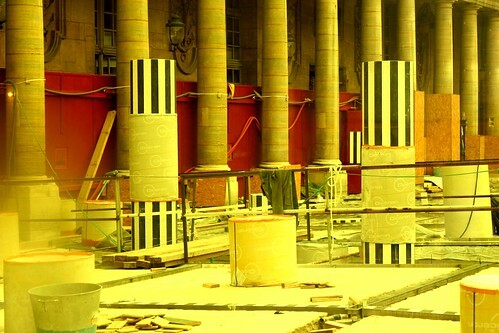 one of the most visible parts of this renovation is the Buren columns courtyard (also called "Les Deux Plateaux") of 1985, one of Paris's top children activity places in the afternoons with shrieking toddlers climbing excitedly around on the massive columns of various heights, followed by scared nannies and mothers. 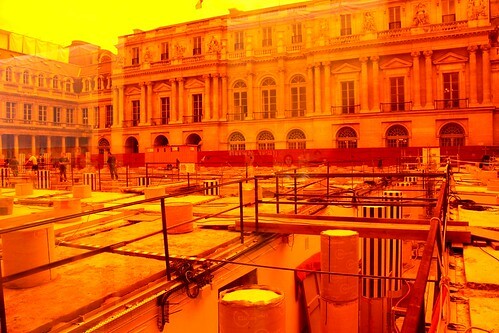 The courtyard is currently shielded off with a wooden construction fence, as a 3.2 million Euro renovation is slowly putting the dillapidated space back into shape. 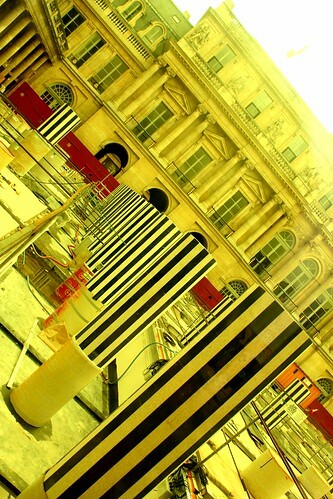 Part of the installation was a water cascade, that stopped running in 2000, and special light installations in the evening, also something that seems to have stopped working some years ago. 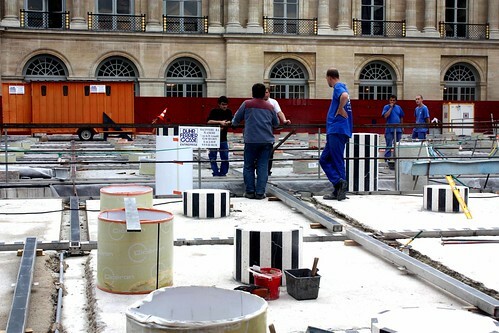 This renovation work was actually not supposed to happen until early 2009, but artist Daniel Buren himself had stated that if nothing was undertaken in order to save his artwork, he would consider destroying it himself.